ARL Commissioner John Grant has admitted that he is feeling the heat as he readies himself to face the rebellious NRL clubs baying for his blood. He is set for a confrontation with a number of NRL clubs next week after he refused to either apologise or back down over the mess surrounding their funding. 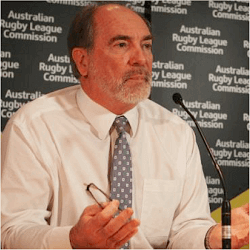 Grant has dismissed calls for his resignation, and describes this apparent impasse as a simple hitch in the interaction between the world of the rugby league clubs and that of the ARL. 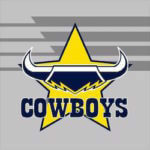 Laurence Lancini, however, the chairman for North Queensland, continues to call for Grant to resign, and has vowed not to deal with him in any way as the parties continue to try to find an agreement about club funding. Although Grant admits that he is under a lot of pressure, he defiantly states that he has every intention of remaining in the chair for five more years, stating that there is always going to be pressure, and that handling this pressure properly was a key part of the job. 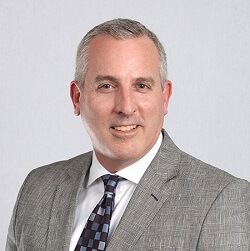 Grant has stated that the job of the Commission is to look after the game as a whole, and that there would inevitably be competing forces making up this whole. He said that, although he understood how the clubs felt the grassroots needed to be attended to as well, in order to effectively halt the backward progression of the game in terms of people’s participation. He further stated that there are multiple items on the agenda that need to be responded to, and handling these effectively was the matter of a continuous balancing act. The ARLC and the clubs have started butting heads since Grant and Todd Greenberg, the NRL Chief Executive, pulled an agreement to fund every franchise at 130% of the salary cap from 2018 from the table. Grant has argued that this was no longer possible, with this amount not being affordable anymore because of a host of other issues requiring attention as well, including funding at a grassroots level; taking over the digital arm of the NRL from Telstra in the year 2018; and a sinking fund in order to buoy up struggling clubs. 15 of the competition’s 16 clubs have since signed a petition calling for an emergency general meeting in order to vote on whether or not to expel Grant. Lancini is one of the four club bosses that stormed out from the NRL headquarters meeting on Wednesday after the news was delivered, and has stated since that he will not back down from the demands his club is making.